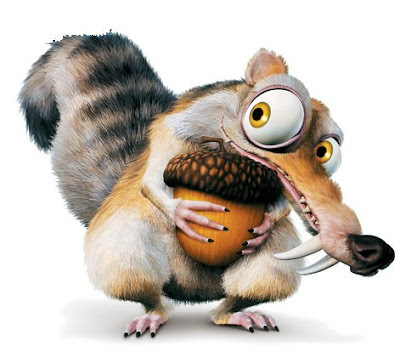 Watched Ice Age 3, happened to love Scrat so much. :) And Congrats for him to meet his new girlfriend, but at the mean time, he lost his girlfriend for not giving up the nut. Well, we can see that he actually loves the nuts MORE!. lol. People, if you're going to watch this movie, you should never miss out the Tango part by my lovely scrat and his girlfriend. You can ignore the rest but not that part, just watch it. the song in the clip.